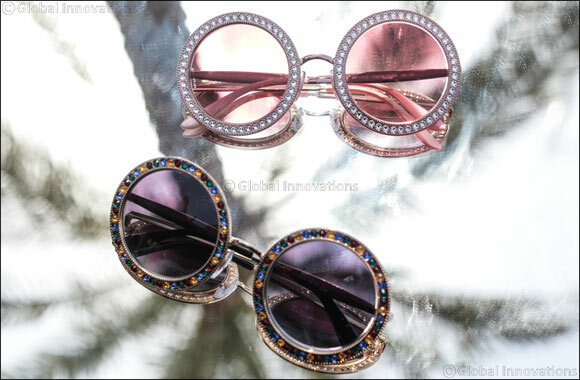 Dubai, UAE, June 24, 2017: Throughout its twenty years, Grand Optics has captured the imagination of customers across the GCC – and has offered the latest styles in eyewear and the most advanced technology in eyewear. Grand Optics has become a powerful household name in optics – the retail concept integrates a portfolio of luxurious and trendy eyewear brands with a focus on providing innovative vision solutions. The Grand vision is to be the region’s leading luxury eyewear retailer and provider of innovative vision care. Grand Optics represents an extensive variety of luxury, designer, bridge and exclusive brands for clinical eyewear and sunglasses – as well as a wide range of high quality ophthalmic lenses, with comprehensive choice of coloured and tailor made contact lenses, to fulfill every customers’ needs. Grand Optics’ strategy is to supply the finest selection of latest eyewear styles for its unique customer base in the GCC market, and cater to a distinct clientele seeking excellent products, services & after sales care. The Grand Optics in-store experience is as unique as its product offer, delivering superior customer service unique to the Middle East market within the luxurious ambience of our showrooms. Grand Optics delivers its promise of a new perspective and different vision, whilst providing customers with the latest trends in eyewear with every pair of glasses, sunglasses, contact and optical lenses.